Hedayatullah, 17 years old, is a student in eleventh grade in a village situated in the beautiful mountainous range of Gorziwan District in Afghanistan. He lives in a small house made of packed mud, with his parents and five siblings. His father is a teacher in his school and his mother cares for their home and the children. His life is similar to that of any other boy his age in his community. Before Save the Children started supporting their community, like many other children in their village Hedayatullah and his siblings were often sick and had to miss school. Medicine was costly for their family, especially with so many children to care for and such frequent illness. Attendance rates in the schools were low as children stayed home due to cough, fever and diarrhea. In June 2006, sponsorship started health and nutrition programs in Gorziwan to help address these challenges. Save the Children found most people, especially mothers and children during their time at home, were not aware of how to keep up with their personal and environmental hygiene, and how simple steps like always using soap when washing hands could help keep their whole family healthy. In this area of Afghanistan, 90% of parents are illiterate and likewise their knowledge about health, nutrition and hygiene was very low. Hedayatullah shared, “Before Save the Children programs, we did not wash our hands before taking meals and after using the bathroom.” He explained that they weren’t aware that good personal hygiene could help keep them from getting sick. “I didn’t even cut my nails regularly,” he remembered. 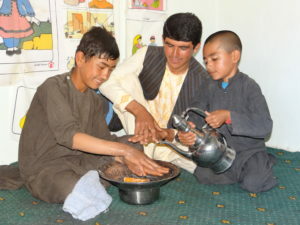 Hedayatullah leading a hand washing lesson for Hekmatullah and Samiullah. Since he was 10 years old, Hedayatullah has been an active member of a Save the Children supported child-focused health education group. Through these groups, children learn how to adopt healthy practices, as well as promote and spread those healthy practices amongst their family and the community. By being truly child-focused, the health groups utilize the way children think, learn and interact with each other to not only help children help themselves stay healthy, but also to use children as a resource to create change in their communities. 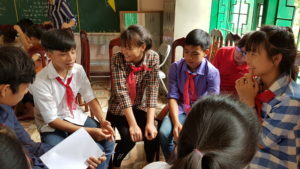 This is not only a cost effective way to transfer knowledge, but also deeply involves community members and children themselves in shifting behaviors and norms, making those changes more sustainable. Save the Children supports by training group leaders and facilitators on problem solving, teaching methods and discussion techniques, and providing teaching materials for them to use, such as handout activities, storybooks with related lessons and posters. While he happily learned in these groups from the age of 10, now as a teenager he volunteers as the group’s leader. 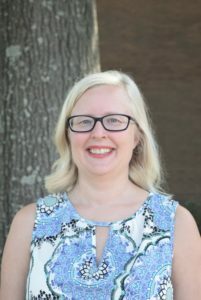 In this role, Hedayatullah spreads health messages to a group of friends and younger students in a casual way, using their local language and personal relationships to make learning fun and relate to each other during the lesson. The boys use games, songs, storytelling and role-play to make sure everyone feels involved. Hedayatullah and his child-focused health group send their thanks to sponsors. Since they are learning with friends, experiences and ideas are shared more freely. The environment feels more intimate and relatable than it would if an adult was leading the discussion. 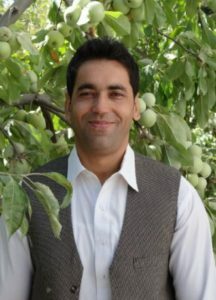 As a participant in these programs for almost a decade, Hedayatullah has seen for himself how today more children practice good health and hygiene, for example regularly washing their hands with soap or boiling water instead of drinking straight from the river. His experience leading the child-focused health group has even inspired Hedayatullah’s future aspirations. Since his role as group leader is similar to that of a teacher, he hopes to become a teacher one day to be able to work with students as a profession. Friendship isn’t about who you’ve known the longest. It’s about who has walked into your life, said “I’m here for you,” and proved it. This is exactly how I would describe the friendship between Konrad and his sponsored child, Nguyen. They had only been able to get to know each other through the many letters they sent over a year, until the day they met face-to-face. After coming all the way from Poland, Konrad next had to endure the long and tiring car journey from Hanoi – the capital of Vietnam – to Thai Nien commune in Lao Cai province, where Nguyen lives high in the mountains. Despite coming such a long distance, Konrad didn’t seem to feel exhausted at all. Perhaps the excitement made the way seem shorter. Konrad arrived at the school where 13-year-old Nguyen is studying, and was greeted warmly by Nguyen’s teachers, friends and his father. When being asked to find Nguyen among his classmates, at first it was a challenge for Konrad to find the little boy he had only seen through photos. Over the past year, the little Nguyen had grown into a good looking teenage boy with tanned skin, but his smile remained the same. Konrad recognized him after a few seconds. Nguyen and his friends in their sponsorship supported youth club. Nguyen was a little bit embarrassed at first when they caught each other’s eyes. As for Konrad, I felt like this full grown man turned into a shy and clumsy boy when standing in front of his friend, whom he was meeting for the first time. “I know Nguyen is shy because I also feel nervous,” said Konrad. However, the barrier of shyness was broken as soon as they danced and played shuttlecock-kicking, a game in which players use their feet to keep the shuttlecock from touching the ground. Konrad found himself embarrassed again when being asked to dance in Nguyen’s classroom, but he overcame his hesitation and danced for everyone! I never thought that he could dance like this! A real dancing machine. He was also pretty good at playing shuttlecock-kicking. Sports really have the power to bring people together! It’s also true that food unites people, bringing us together and bridging gaps. 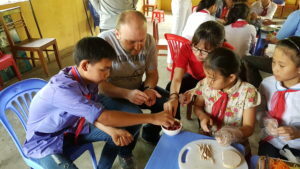 After some time spent playing games, Konrad joined a cooking class and helped Nguyen and his friends make a traditional Vietnamese salad. The salad is made with banana flowers, green papayas, carrots, boiled pork, lean pork paste, crushed peanuts and a special sauce which is made with fish sauce, sugar, lemon or kumquat, chilly and garlic. The class was divided into 3 teams and Konrad was nominated as a judge of their cooking contest. While everyone was focused on the competition, Konrad enjoyed talking with Nguyen as if nobody was around. They talked about their favorite sports – bicycle riding for Konrad and soccer for Nguyen – as well as shared experiences, memories and just had casual conversation about their lives. Konrad and Nguyen together in the cooking class. As a teacher, Konrad has a great concern for education, especially for the school where Nguyen is studying. During the visit, the head teacher showed him around the school and provided detailed information about matters that he was concerned about. Konrad was impressed, and asked about the child-centered teaching techniques being used and about the youth club available at the school, all supported by sponsors like him. The youth club is a great place for adolescents to share knowledge and learn about sexual and reproductive health, and other problems faced by teenagers. Konrad was even able to participate in one of the youth club meetings, and was happy for the opportunity to share his viewpoints about the importance of friendship. He made an example of the friendship between him and Nguyen – a friendship without borders. Konrad is an energetic man but his voice was shaky and barely covering a sob when saying goodbye to his dear sponsored child. A handshake, a hug and a best wish from Nguyen was a priceless farewell gift that warmed his sponsor’s heart. “Thank you for visiting me. I hope you are happy and healthy every day,” Nguyen said to his sponsor. Konrad promised to come back and I’m really looking forward to that day, when we can make the best memories together again. Before Hurricane Florence hit, save the Children deployed our emergency response team and pre-positioned essential child-focused supplies designed to help vulnerable children during disasters and their aftermath. 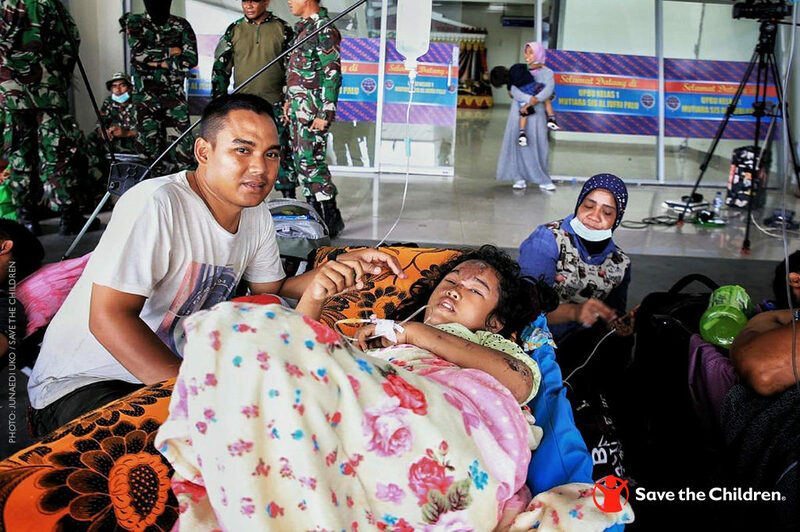 Our teams are committed to supporting the children and families in their long-term recovery, as the emotional distress of evacuating home and being out of school can take its toll on children. As the roads in North Carolina re-open after Hurricane Florence, our humanitarian relief experts continue to assess the storm’s impact on children and provide assistance to those in shelters – even reaching New Bern which saw record flooding. We continue to work tirelessly to address the needs of thousands of families who were forced to evacuate their homes, fearing the worst. In post-Hurricane Katrina New Orleans in 2005, Save the Children developed Journey of Hope, a child-informed program that draws on children’s strengths to support their resilience. Journey of Hope has helped thousands of children and their caregivers affected by the 2017 hurricanes in Texas, Florida and Puerto Rico cope with loss, fear and stress. Here is the story of one such family. After Hurricane Harvey, fifty-four counties in Texas were declared a state of disaster. Rainfall was measured in feet. Two more devastating U.S. hurricanes would follow, all within a month of one another. Each of them leaving children and families reeling. Families like Alexia and her son DeAndre. As Hurricane Harvey flooded Houston, Alexia and her 10-year-old son, DeAndre, watched the water levels rise and cover the floors in their apartment. When the bathroom ceiling caved in, Alexia knew they needed to go, but she worried about her son being stuck in a shelter without the space to be a kid. At the shelter, Alexia brought DeAndre to our child-friendly space, where he soon made friends, played games, created art and went on field trips. Alexia says this allowed him to disconnect from the stress of the storm and gave her peace of mind knowing that he was safe and happy. Our staff stood by Alexia as she made arrangements to get out of the shelter and helped her ask the right questions to ensure they weren’t forgotten. And one year post-Harvey, DeAndre unlocks the door to their new, fully furnished apartment. He has his own room and a playground around the corner. 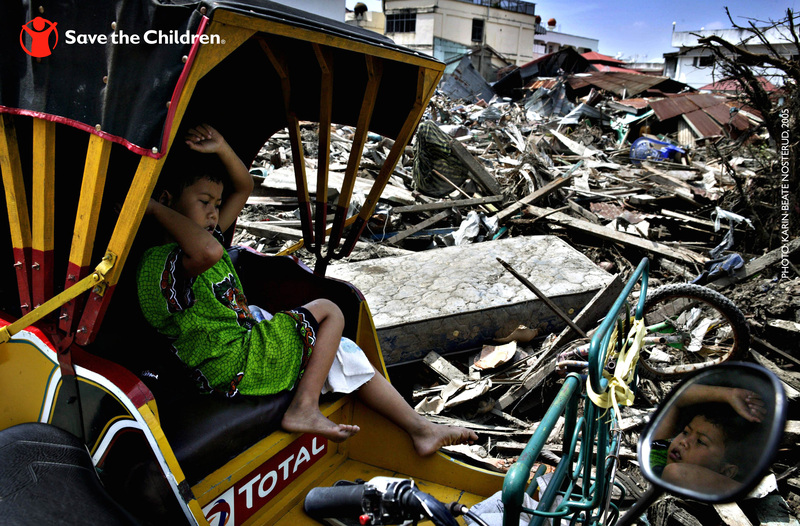 “If it wasn’t for Save the Children, we wouldn’t be in an apartment. We would probably be either moved around to a different place from the shelter or we would be out on the street,” says Alexia. Today, more than 1 million people in coastal areas of Virginia, North Carolina and South Carolina have been ordered to evacuate their homes as Hurricane Florence pounds the coast. How many children and families will watch the water levels rise and cover the floors the way Alexia and DeAndre did when a hurricane struck their home? 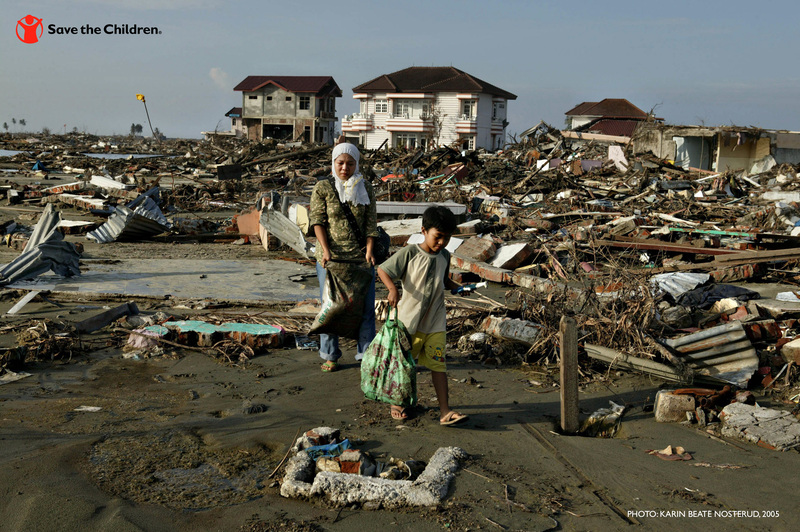 Save the Children needs your generous gift to help protect vulnerable children and provide desperately needed relief to families. Prolonged detention compounds any trauma immigrant and refugee children suffered in their home country that caused them to flee, or on the life-threatening journey to the United States. Most KIND clients have been traumatized in some way, many as a result of gang violence, including sexual and gender-based violence in their home country. These root causes of migration and the deeply personal emotional scarring they cause can become secondary to the damaging emotional and psychological impact of prolonged detention, thus impairing a child’s ability to make a case for U.S. protection. 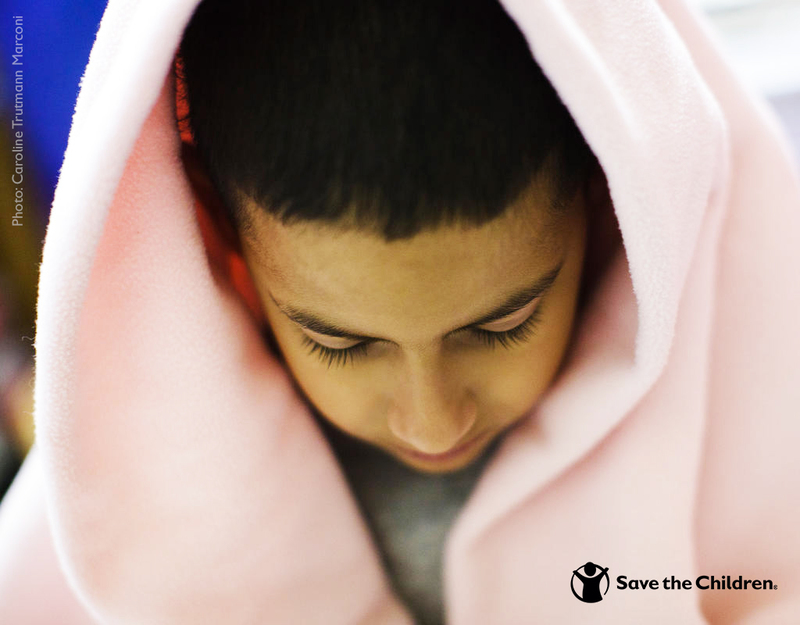 To learn more about how Save the Children is providing direct assistance to migrant children and their families, visit our website. D’Miya is 8 years old and lives in Mississippi. She is entering third grade and participates in the after-school program supported through Save the Children in her community. Once a shy child, she now beams with confidence. Her smile lights up a room and she has blossomed, because of sponsorship. D’Miya comes from a very low-income area. Jobs are scarce and many people can’t afford the basic educational resources, like books or school supplies, needed to support their children’s education. D’Miya’s grandparents inquired about the after-school program because they felt it could help her be more successful in school. Her basic reading skills were not quite where they needed to be for students her age, and she was having difficulties with writing as well. She also generally wasn’t excited about school or her classes, and didn’t feel motivated to participate in lessons. D’Miya writing to Laura and her students at the Primrose School. “You get to read in school!” smiles D’Miya. She has a positive attitude now and has become more active in class discussions and activities. 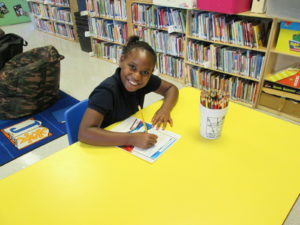 D’Miya also enjoys writing to her sponsor and seeing the pictures that her sponsor draws. “I feel very, very thankful,” says D’Miya, in regards to having a sponsor who writes her. She likes having someone to write to that she hasn’t met, who can tell her about life outside of her community. It makes her feel good to receive a letter. D’Miya’s sponsor, Laura from the Primrose School, sends her birthday cards and drawings. Laura’s young students in the toddler room she teachers in also write special messages to D’Miya. She receives letters from Laura every couple of months, and responds telling her about her newest favorite books. She also loves drawing pictures for her sponsor. Outside of school, D’Miya enjoys playing on the swing set at the park, swimming, running and riding her bike. Her hero is her daddy who plays with her and shows her how to fix things. When D’Miya was little, her mother passed away, and although she has great admiration for her father he isn’t always around to take care of her. 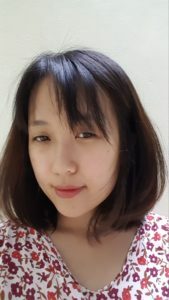 She now lives with her grandmother and grandfather. Without any brothers or sisters, D’Miya can get lonely. However, writing to her sponsor has fostered an emotional connection for her that she would not have had otherwise. 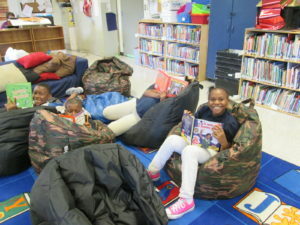 D’Miya reading with friends at the afterschool program. Deanna describes D’Miya as having a bubbly personality and a great sense of humor. “She has opened up more to others rather than staying more to herself. She has grown as an individual, and made great improvements in school,” said Deanna. Long after Save the Children moves out of her community, D’Miya will benefit from the impact it has made in her confidence and her success in school. Likewise, the connection she has formed with her sponsor will benefit her for a lifetime. 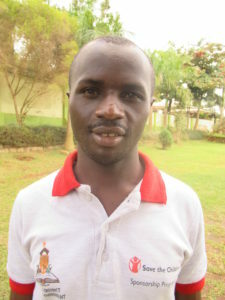 Gerald is a 10-year-old boy from Kakiri sub-county in the Wakiso District of Uganda. He is in 3rd grade and is an active member of his school health club, which was set up through the sponsorship program in his community. The goal of this club is to provide an avenue for children to learn and participate in improving their personal health and hygiene. In Uganda, school pupils face a number of challenges related to poor hygiene and sanitation. Before Save the Children started working in Gerald’s community, children did not have access to safe drinking water at school. 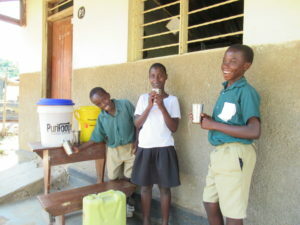 Drinking contaminated water from the nearby wells and harvested rainwater was the order of the day for pupils. This caused many diseases like diarrhea, dysentery, and typhoid which caused students to miss school a lot. “I used to miss school because of diarrhea and stomach aches, I didn’t know that it was because of the water we were drinking at school,” says Gerald. Through Save the Children’s Healthy Girls and Boys program, our goal is to improve the health and education status of children to enable them to learn and develop to their full potential. School health clubs were set-up in every school reached by sponsorship to empower the pupils with the knowledge to keep themselves healthy. In Uganda, we’ve reached over 80 schools with this type of health education program, including mentoring and training for nearly 3,000 girls and boys. The pupils and their teachers as well were educated on the dangers of drinking unsafe water. Along with that, access to safe drinking water was provided to the schools. For example, sponsorship provided SODIS devices, which stands for solar disinfection of water, and safe water tanks to store boiled drinking water in. The teachers in each of the schools were also trained on how to incorporate health education into the classroom, for example teaching children how to use and maintain the new water tanks. Gerald’s school received spouts which use a ceramic water filter – a type of filter which purifies and disinfects water using a layer of silver nitrate. 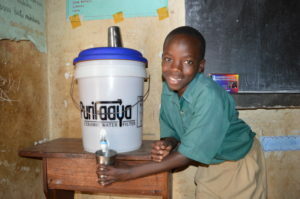 Gerald, as a member of his school health club, has also learned how to guide the other students in where to access the clean water and encourages them to drink it, to keep themselves hydrated and avoid needing to drink from the dirty water sources. “I always remind my classmates to drink the safe water from the spout because it will help them not fall sick and miss school.” says Gerald. He and his fellow club members are also responsible for keeping their school compound and classrooms clean and orderly, as well as maintaining handwashing facilities at school and assisting the younger students in washing their hands. With access to safe drinking water in the schools, the pupils no longer miss school because of diseases like diarrhea, dysentery, and typhoid. They are healthier and more eager to learn. “Thanks to Save the Children, I am healthy, I go to school every day and I am working hard to be a lawyer in the future.” Gerald said with a hopeful grin. With support from Save the Children through the school health clubs, Gerald and other pupils know the dangers of drinking unsafe water and are empowered to be great advocates for better sanitation and hygiene practices in the community.